Police had received credible inputs regarding some 35 Maoists coming for a marriage party at the Kasnapur village in the jungle near Kadegaon and accordingly launched their operation. MUMBAI: Chief Minister Devendra Fadnavis on Monday praised the police personnel for the intelligence gathering and meticulous planning that helped them to gun down 16 Maoists in the jungles of Gadchiroli on Sunday. “It was an intelligence based operation. There were no casualties on our side while carrying out this operation. This is credible,” Fadnavis said while interacting with media here on Monday. 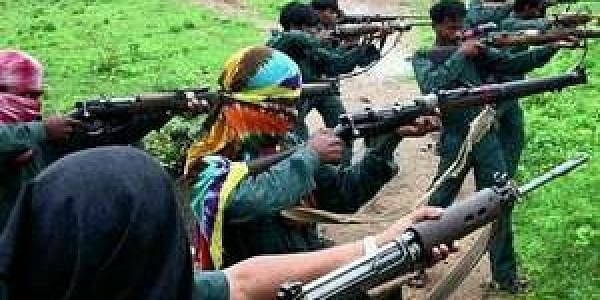 According to information shared by the police, they had received credible inputs regarding some 35 Maoists coming for a marriage party at the Kasnapur village in the jungle near Kadegaon and accordingly operation was launched on Saturday night. On Sunday morning they traced footsteps of Naxal activists and could identify where they were hiding. Generally, Maoists take back bodies of their colleagues into the jungle. But, in case of the operation on Sunday they didn’t do that. It is very significant, the police said. Director General of police Satish Mathur said that with the clampdown by the forces, the Maoists are left with no option but to surrender. “We have clamped down on funding of Naxals and expect to see a large number of activists surrender in the coming months,” he said. Amongst the 16 Naxals killed nine were men and seven were women, the police have said after shifting the bodies to their base camp in Aheri. That operation too was hampered due to bad weather and breakdown of satellite phones that they were carrying. “This caused a considerable delay in recovering all the bodies,” the police said while explaining the difficulties in the operation. Rains in the night had posed yet another hurdle, they said. Two members of Divisional Committee of Maoists too were killed in the operation. Of them, Shrinu alias Shrikant alias Vijender Narsimharamalu (51) hailed from Chhalagiri, tehsil Chityal, district Warangal (Telangana). He was active in LSO in Sironcha in Gadchiroli district since 2003 and was elevated as Commander, ACM and DCM. There are 82 cases registered against him including murder, abduction and many more. The other DCM Sainath alias Dolesh Madi Atram (36) was residents of Gattepalli, tehsil Aheri, district Gadchiroli. He had joined Permili Dalam in 2004 and later promoted in action team. His wife Kaika alias Sarita Kolu Kowachi (27) was killed by police during an encounter at Tadgaon on April 19, 2016. There were 75 charges against him including blasting, murder, abduction etc. Death of two divisional committee members in a single action too is a major success, police have said. Meanwhile, Shahapur MLA Pandurang Varora, who returned to his hometown only hours before the operation has expressed a fear that member of a legislator’s committee that visited the Naxal infested area of Gadchiroli district last week might have been on the target of the Maoists killed on Sunday.